Gabriel-Urbain Fauré (1845 – 1924) is considered to be one of the foremost French composers of his time. While also an organist, pianist and teacher, his refined and gentle style influenced 20th century French music. Fauré found particular joy in infusing the traditional forms he so respected with a medley of bold harmonic progressions and fresh ingenuity. His music feels deceptively simple through the elegant delivery whose unpretentiousness fueled the later sensationalism of the modern French school. Swiss composer and teacher Louis Niedermeyer was the first to recognize Fauré’s talents as a child, and took him on as a student. Fauré later went on to study with Camille Saint-Saëns through whom he learned the great influences of Franz Liszt and Richard Wagner. He went on to teach himself, succeeding Théodore Dubois as the professor of composition at the Paris Conservatory in 1896. The same year, Fare was appointed church organist at La Madeleine. At the Conservatory, Fauré taught Maurice Ravel, Georges Enesco and Nadia Boulanger. Fauré composed over one hundred pieces of music. He particularly enhanced the literature of the piano with exceptionally original compositions. 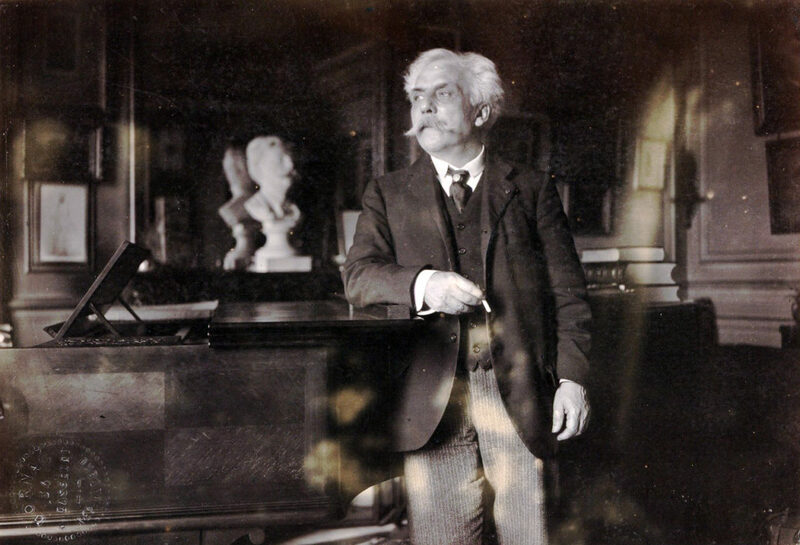 Five years after marrying Marie Fremiet, daughter of the renowned sculptor Emmanuel, Fauré completed his Requiem in 1888. The twenty-year labour of love was a true masterpiece, affirming his firm belief in the afterlife. Even though Fauré’s talents weren’t widely recognized until he was well into his fifties already, the later half of his life was plagued by deafness and disturbing aural hallucinations that made his musical career increasingly difficult to maintain. It was also around the turn of the century that Fauré met Marguerite Hasselmans, a gifted pianist and intelligent 24-year old who became the composer’s mistress and companion until his death of pneumonia in 1924. Feel the lyrical genius of Fauré on AllMusic.com, as well as peruse a comprehensive list of his musical composition highlights.